The most common claims for cats we see at Healthy Paws are related to stomach issues. 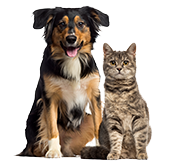 From vomiting to diarrhea, gastrointestinal disorders to pancreatitis, stomach problems landed as the top condition in our Cost of Pet Care report and remain one of the biggest concerns for pet parents. Acute gastroenteritis and upset stomach: An inflamed digestive tract, usually short-term, caused by eating spoiled food, swallowing foreign objects, eating toxic plants, hairballs, and other diseases. If you have a mischievous cat who suddenly starts vomiting and can’t keep anything down, the first thing the vet does is look for signs for toxicity or a foreign object. Make sure toys and anything accessible are safe for kitty. Colitis: Common in young cats, colitis is the inflammation of the large intestine that can result in frequent, painful passing of feces. It can be caused by tumors, polyps, food allergies or a change in food, swallowed foreign objects and certain other diseases. Constipation: Causes vary from dehydration to bowel disorders to even chronic kidney disease. Cats with arthritis can suffer from constipation because it simply hurts too much to squat in the litterbox. Diarrhea: Either a symptom or the illness itself, diarrhea has a myriad of causes – infections, internal parasites, stress, anxiety, food allergies or a change in food, eating spoiled food, viruses, organ issues, as well as inflammatory bowel disease and cancer. Food allergies/intolerances: Food allergies usually cause vomiting and nausea; however, an allergy can result in continued inflammation that can lead to inflammatory bowel disease or even cancer. Avoid feeding off the table and overfeeding altogether. Intestinal bacterial overgrowth: When what we term as “bad” bacteria grows out of control compared to “good” bacteria in the digestive tract, resulting in diarrhea and or vomiting, and treated by antibiotics and then, probiotics. Intestinal parasites: From fleas, roundworms, tapeworms, and coccidian. Less commonly seen are giardia and tritrichomoniasis. Irritable Bowel Syndrome and Disease: Chronic inflammation and discomfort that can be caused by food intolerance (allergies) but stress is a big cause. Over time, it can lead to malnutrition and weight loss because the kitty can’t absorb what she’s eating. Pancreatitis: An inflammation or infection of the pancreas that can be from decreased blood flow, disease, infection, diabetes, or trauma. A rare cause can also be from scorpion stings (depending on where you live). 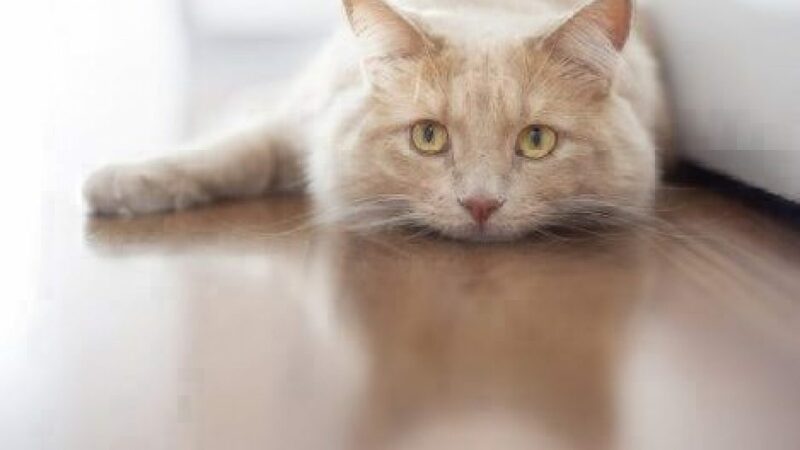 Common, benign digestive disorders in cats can actually clear up within a few days on their own, whereas some cats will need to see a vet for either emergency treatment or long-term management. If your cat has diarrhea, constipation, or is vomiting for more than 24 hours, consult your vet immediately; your cat will most likely need IV fluids and treatment for dehydration. It’s crucial in order to avoid further complications with the kidneys, or a possible infection. Most likely, less serious stomach conditions mean you’ll be able to return home with your cat after initial treatment. In these uncomplicated cases, switching up your cat’s diet can lead to successful resolution. Other treatments include steroids or prescribed medications that help alleviate symptoms, remove parasites or other offenders, and decrease inflammation. Depending on the severity of the diagnosis, your cat may require hospitalization, especially in cases of severe bodily fluid loss resulting in dehydration as stated above. With cancers of the GI tract, cats can and regularly undergo chemotherapy and radiation. Quality of Life Difference: In the past, vets would treat the symptoms of stomach problems without necessarily knowing the cause. With today’s new diagnostics, vets are able to determine an accurate diagnosis and effectively treat the root cause in your cat. Our cat insurance plan pays on your actual veterinary bill and covers injuries, illnesses, emergencies, genetic conditions and much more. Get your free quote today. Visiting your vet annually (or as frequently as requested, given your cat’s health) is a great preventative method. Disease, parasites, and viruses can be prevented with vaccines. There your vet can recognize signs and symptoms readily, as well as administer proper vaccines and shots to de-worm and de-flea your cat. They can also recommend special diets if need be – anything from high fiber diets to raw foods. Random accidents or unforeseen illnesses can occur at any time, which emphasizes the importance of having pet insurance.